Last week, the Codfather in Sandton saw an exclusive “by invitation only” list of VVIPs attend, and celebrities such as Kgomotso Christopher, Nambitha Mpumlwana, K Naomi and Ayanda Thabethe shared the festivities of all things Lorna with her close friends and many key industry figures. Lorna’s favourite gin, Tanqueray, was on tap to keep the guests hydrated, along with a hearty menu of fine food. Keeping the momentum and party going was the next exclusive event open to the public at Mekete Boutique and Events in Polokwane this past weekend. The event featured another host of exclusive VIP guests from local radio stations, as well as members of the general public, who joined Lorna for a three-course dining experience. A different cocktail, prepared by the Tanqueray mixologists, was served with each course to amplify the taste experience. Starters were a smoked salmon dish with cucumber ribbons, avocado aioli and dill, followed by a main dish of succulent lamb loin with a hearty gin jus, creamy mint purée, shallots and crispy carrot chips. The event was capped off with a celebratory after-party featuring DJ Shimza and Tbo Touch. Each VIP guest walked away with an exclusive goodie bag worth about R1 500 which included products by BABOR, LCN, Revlon, limited edition make-up bags, Garnier and, of course, a copy of the November issue of True Love. 2018 has proved to be the year of Lorna and this is only the beginning. 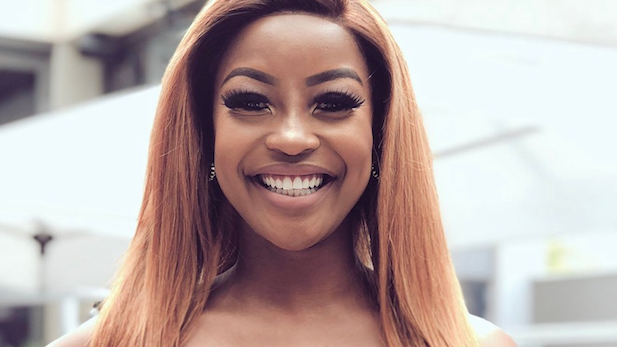 She will be gracing digital screens in the very near future with a web-series that will inspire viewers over the festive season, and have mouths watering at what she’ll be preparing. Keep a lookout!